age brackets, plus a large range of dedicated services. Situated directly on the beach, one of the most beautiful in Sardinia, the I Grandi Viaggi Club Santagiusta is located at Costa Rei, in the south-eastern portion of the island. 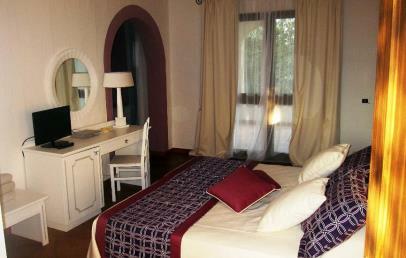 Cagliari Elmas Airport is just 60 km away, while the small town of Castiadas is 10 km from the resort. With its typically Mediterranean style, the resort blends in well with the scenery and lies unobtrusively between the lush plant growth and the deep blue of the sea. 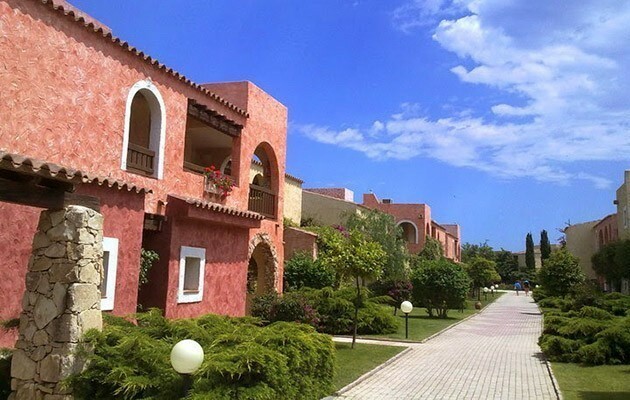 Rich in services and activities, with special attention paid to the needs of kids and teens, the iGV Club Santagiusta was the first resort in Italy to obtain ISO 14001 certification for its zero environmental impact. The 374 rooms are spread over several buildings which make up the resort. All rooms have air conditioning and either a patio, a balcony or a terrace. Wi-Fi not available (only in the Hall and pool area). The cost of your room includes group sports classes, use of sports facilities and equipment, activities for children (Nursery / Baby Club / Mini Club / Junior Club / Young Club) and beach service (excluding beach towels). Check-in from 17:00; Check-out not later than 10:00 (late check-out is possible, on request and according to availability). Accessible directly from the Hotel and just a short distance from it (200 m from the main services), the beach is splendid and offers clear blue sea and shining white sand. Here the juniper trees sink their centuries old roots and here and there wild lilies blossom, decorating the splendid bay. There is a beach bar. The beach service is included in the cost of your room and includes beach umbrellas and sun beds (a fee is charged for beach towels: deposit of € 10 + € 5 for the rental). Nursery (0-2 years of age) – including a feeding bottle preparation facility available clock-round, meal heating, a nap room, a playroom and qualified personnel, free use of strollers. A paediatrician is on the spot free of charge during surgery hours, and is available round the clock. Baby Club (3-5 years of age) – offers creative, sports and entertainment activities (also after dinner); children can eat their meals with the activity staff in the Aigo children’s restaurant; two pools available according to comfort level in the water. Mini Club (6-10 years of age) – qualified personnel will accompany the kids through the various activities, divided by age bracket. Equipped area with restaurant, pool, playground and reserved area on the beach. Junior Club (11-13 years of age) – various activities are on offer: sports, excursions, theatre, dancing and disco, all with our great activity staff to help the group blend in. Young Club (14-17 years of age) – a reserved beach area, dedicated restaurant and a rich sports and activity programme will foster meeting and mixing. The Resort offers full board, starting with the evening meal on the day of arrival and ending with lunch on the day of departure (it is not possible to change meals or be reimbursed for meals not eaten). The main restaurant of the iGV Club Santagiusta offers breakfast, lunch and a buffet dinner (with bottled water and a flask of local wine included in the price). Tables are not assigned and are not bookable (free entry, up to capacity; with the exception of guests who have decided to acquire the Platinum Plus Card). The resort also offers three bars, one of which is on the beach. Guests may participate free of charge in collective activities, which include windsurf, sailing (catamarans), tennis, archery, fitness, aquafitness, dancing. In the months of July and August, the programme is extended to include fencing, spinning and swimming (NuotoPiù Academy ASD, which offers free group lessons and individual lessons attracting payment). Guests can use free of charge the sports fields and equipment (5-a-side football, volley ball, canoeing, bowls, fitness area, tennis during the day time). The six tennis courts may be used during the night hours with payment of a supplement; fee-based activities include private tennis lessons with a certified instructor (according to availability), horse riding (an external livery stable, in the vicinity) and underwater activities (external diving centre). Many of the sports activities are seasonal (including basket and football...) and are available only in certain periods. While during the day the resort offers a wide range of sports activities, in the evening the liveliest spot is the Amphitheatre, with theatrical performances, cabaret, comedies and musicals. After midnight, entertainment continues at the piano-bar or the disco. Inside the resort guests will find an HD Cinema (ticket charged), a bazaar-boutique and an internal vehicle parking area (not attended or bookable; available according to capacity, free of charge). Wi-Fi connection is available in the hall and pool area, at a cost of € 15.00 per week. Guests may rent vehicles, scooters and bicycles. Available with prior booking and with payment are excursions and tours of the island (local tours on horseback or quad, visits to the city of Cagliari, Isola dei Cavoli, the Nature Park of the Giara and many other attractions). For your moments of complete relaxation, the wellness centre offers massages and beauty treatments (fee-based). Platinum Plus Card: to be confirmed when booking and to be paid at the resort, this special services card costs € 500.00 per room per week. The card includes: a beach umbrella reserved in the front row on the beach; early check-in and late check-out according to availability; a daily paper; a beach towel without deposit and with the possibility of daily change; a reserved table at the restaurant. Limited availability. Some services/costs might vary over the season. 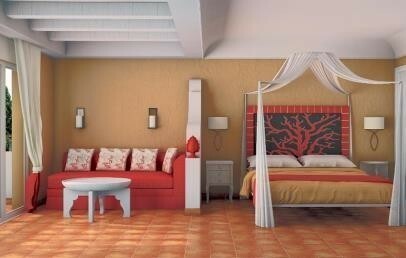 Open space rooms furnished with warm Mediterranean colors. They are located on the ground floor with patio and access to the garden (not private) or on the first floor with balcony. They can accommodate up to 4 beds; limited availability of connecting rooms. Open space rooms furnished with warm Mediterranean colors. They are located on the ground floor with patio and access to the garden (not private) or on the first floor with balcony. 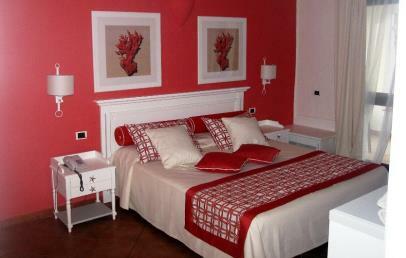 They have the same facilities as the Cottages but are completely refurbished and with new furnishings. They can accommodate up to two people. Bedroom with double bed and a separate area with one or two beds, only one bathroom. 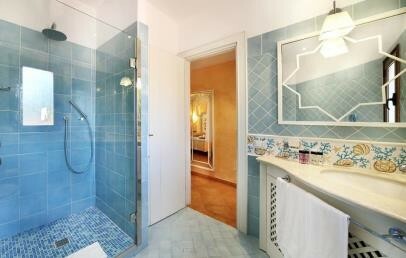 They are located on the ground floor or first floor and have a furnished terrace. Open space with a four-poster double bed and a double sofa bed, more spacious than the Junior Suites and in a privileged position. 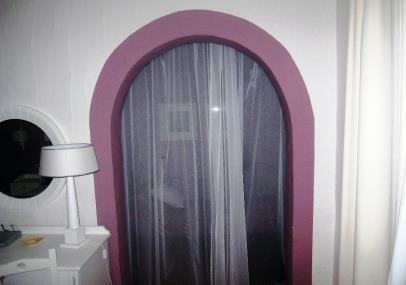 They are located on the ground floor with patio or on the first floor with balcony. 5% extra reduction for bookings confirmed within May 31st 2019!